Named one of the 40 most influential Healthcare Technology Transformers in 2017, Jenny is responsible for ensuring that all our neuroscience products and services meet the highest scientific standards, as well as the practical needs of researchers, doctors and patients. Jenny joined Cambridge Cognition in 2008 and has worked in a variety of roles across the clinical trials and healthcare arms of the business. She led research and development activities for groundbreaking products such as CANTAB Mobile, an iPad-based medical device used to test for the first signs of Alzheimer’s disease, and Cognition Kit, a mobile and wearables platform for the remote monitoring of brain health. 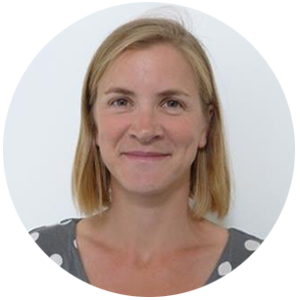 Jenny has an MA in Experimental Psychology from Oxford University, a PhD in psychiatric epidemiology from the University of Cambridge, and completed post-doctoral work at Massachusetts General Hospital and the Broad Institute of Harvard and MIT. She is an Honorary Research Fellow at the University of Cambridge Department of Psychiatry, a team member of the Oulu University, Northern Finland Birth Cohorts, and the author of more than 50 academic publications covering topics ranging from psychology and neuroscience to genetics and health economics.